Jim and Sandy had all the boxes checked, from the down payment to the close. Of course, the plumbing inspection was part of the process. But while home inspectors look for major issues such as leaks, they don’t test the tap water. When securing a new home, there’s so many steps and checkpoints. It’s easy to step over some that may be obvious. “We had no clue our water quality would be compromised,” said Jim, who moved with his wife into a rural area in Wichita. When Sandy fell ill with arsenic poisoning, he was given a handful of possibilities as to how this could have happened. One of them was through their tap water. 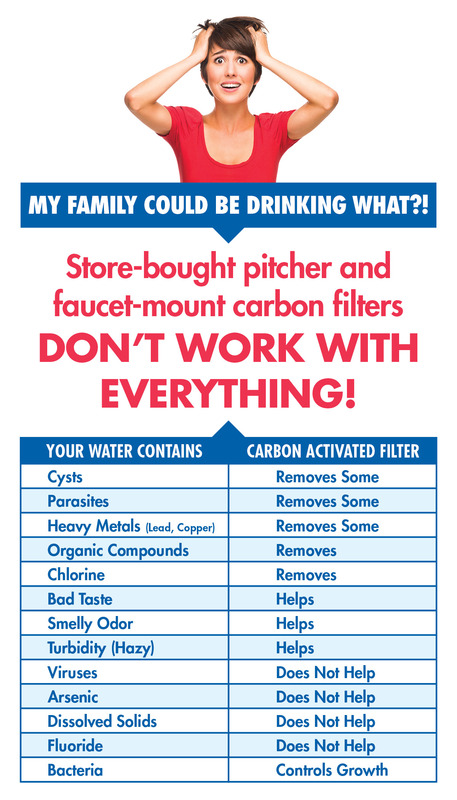 Is your filter leaving harmful contaminants in your family’s water? It’s possible. The best way to find out? Get your water tested. 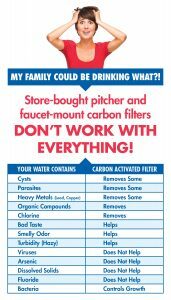 There’s a good chance you already have some sort of water filtration in your new home that you change out every few months. According to a public opinion study by the Water Quality Association, 92% of respondents were aware of in-pitcher or in-tap filters, up from 84% in 2015. This is for a good reason. Last year, USA Today reported 63 million — more than one fifth of the entire U.S. population – were exposed to potentially unsafe water more than once during the past decade. It’s easy to pick up on aesthetic issues – rotten egg smell, chlorine taste, hazy water. However, contaminants such as lead*, arsenic, nitrates, and certain types of bacteria and viruses go undetectable. Additionally, there’s something worse many moms don’t know about. Minerals are present in natural water. They are sometimes referred to as total dissolved solids. These do not indicate the presence or absence of lead. If your home was built before 1986, lead could be an issue. Statistically, your home has a higher chance of having lead pipes or fixtures. Likewise, your service line, which is typically owned by your municipality, may have lead construction. So how do you find out more? Every year, Wichita is required to issue a consumer confidence report. Call your local municipality. You can find many of the resources your need here. Your local Culligan also offers a free water test. It’s a quick, in-home evaluation, that typically takes 10 minutes. And it’s totally free. Call Culligan of Wichita or click FIX MY WATER today to learn more.